I was moving from Kitchener to Belleville. Since our move out date was a week before the move in date of our new place and because most moving truck rental companies don’t cover that stretch for a reasonable price, we decided to do the move in two stages: Kitchener to Stouffville and then Stouffville to Belleville. I rented a 16 foot truck from Discount and everything went smoothly. This is where our plans almost fell apart. Due to the truck being absolutely vital to the success of the move, I called the day before to confirm that it would be available andwas told that there was no truck available in Belleville or any of the surrounding areas. They didn’t call or email me to inform me that there was no truck waiting for me and I would have lost hours and hours of planning and hundreds of dollars in moving costs if my anxiousness didn’t cause me to call in to re-check. 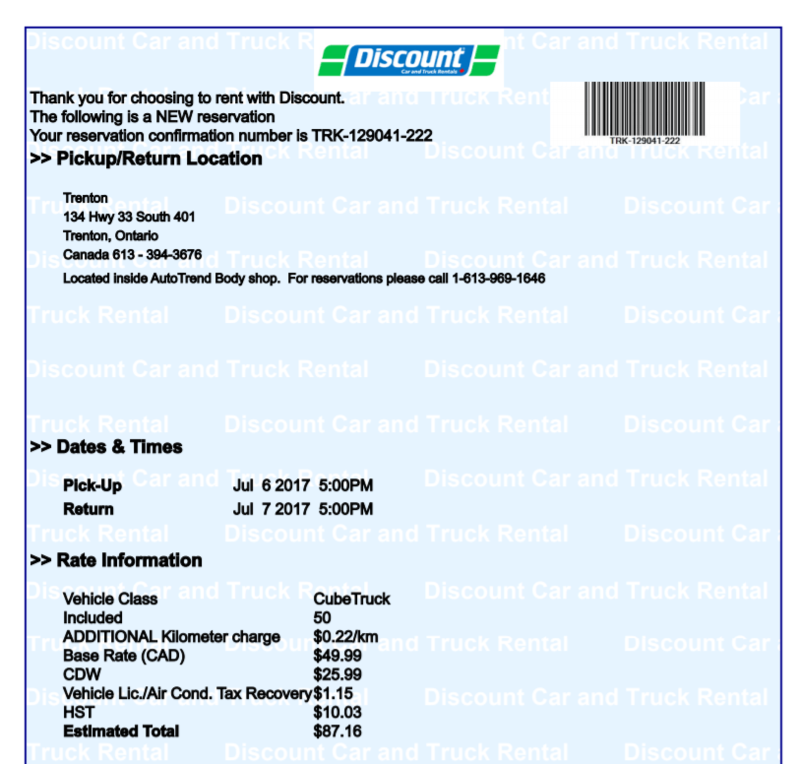 The practice of sending a confirmation and reservation number that aren’t actually based on a vehicle that actually exists in a given location is a deceptive and completely unacceptable practice. NOTE: Even if you reserve well ahead, do not trust your confirmation at all. 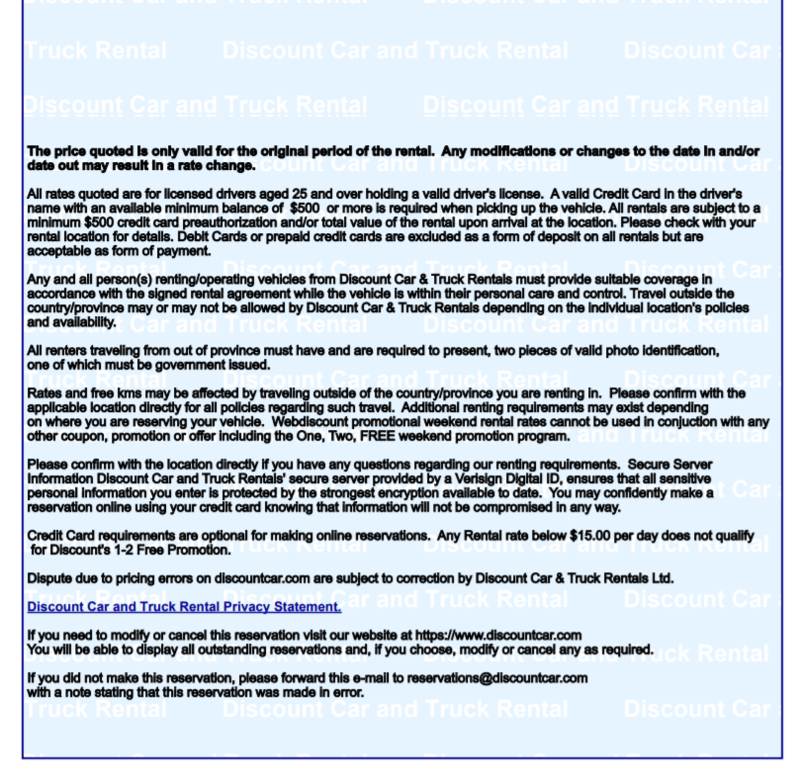 In a rush to find an alternative less than 24 hours before the move, I checked online and noticed that the Trenton branch (134 County Rd 33, Trenton, ON) had a 16ft truck available. This time I followed up immediately to confirm that the truck actually existed. I called them but since it was after hours it forwarded me to Discount’s national call center. The representative confirmed that there was a truck there, but said there is no way for them to leave a message/call/voicemail with the local shop or put a hold on a vehicle – I had to wait until the location opened in the morning. 10 minutes later, the national branch called me back to confirm that there are no trucks available in Belleville or any of the surrounding areas (Trenton or Kingston) – regardless of what their online system might show. Unbelievable. At least this time they took the time to notify me so I could proceed in the opposite direction. 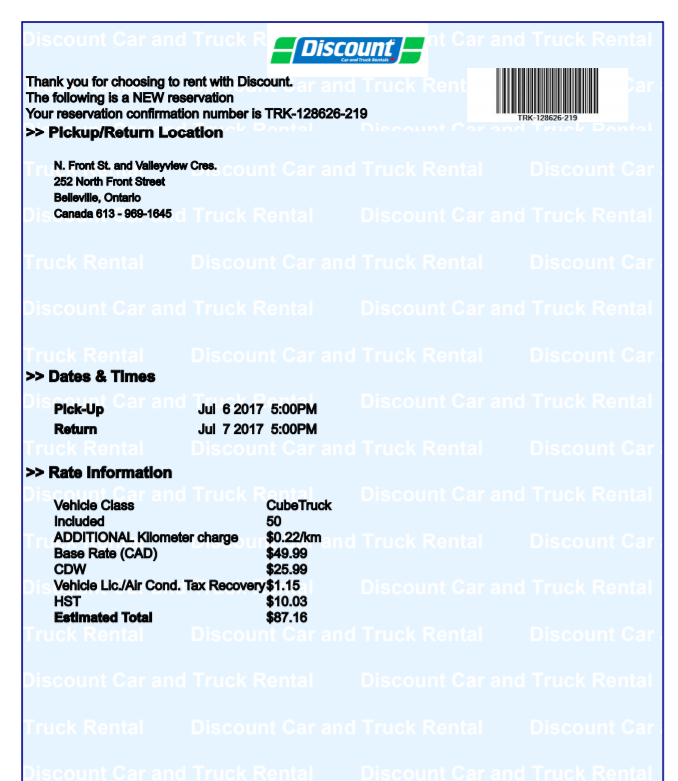 Other than the higher cost, the Uhaul dealer Parker Street Rental & Storage at 17 Parker St Belleville, ON K8P1C9 provided a seamless experience and understanding customer service. The truck was clean, drove well and everything went smoothly. Don’t trust Discount’s confirmation email/unique ID number. Be sure to call the local dealer and confirm with them directly that your moving truck actually exists so you’re not hung out to dry. I’ve had the exact same experience with U-Haul where the on-line inventory booked a van for me in Hastings, but when I got there, there was only a trailer on site. I was forced to drive to Campbellford, get a MUCH bigger van, and add 40 km to my drive. 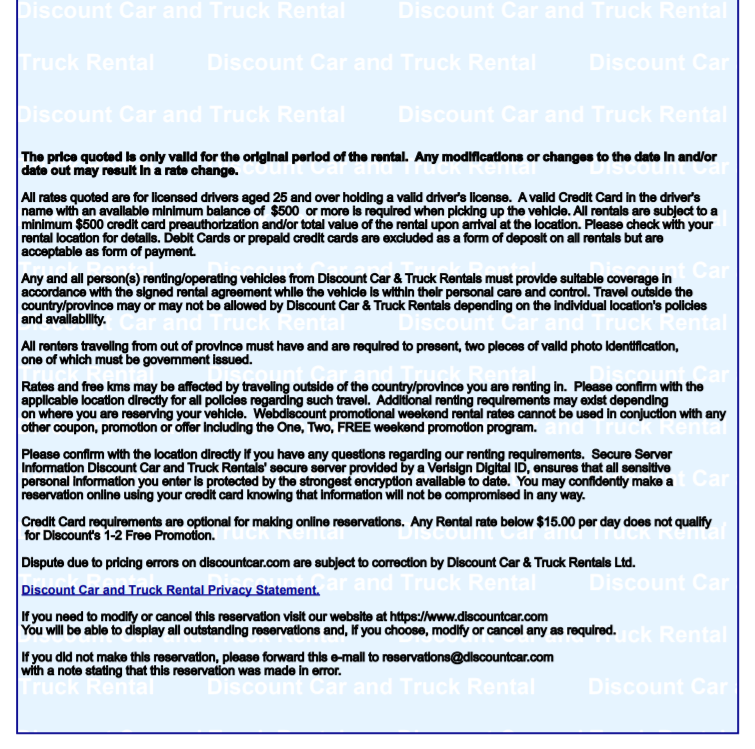 All at the higher rate for to larger van because the local dealer in Campbellford wouldn’t honour the on-line booking. Don’t look to them for releif from rotten practises in this very crooked game.